Anastasia Beverly Hills launched some very exciting items for her summer collection including a new eyeshadow palette, a mini lip gloss set and another Glow Kit in Sun Dipped, which is the subject of today’s post. I received this new addition shortly before my trip to Cabo and took it along with me to test it out while there. 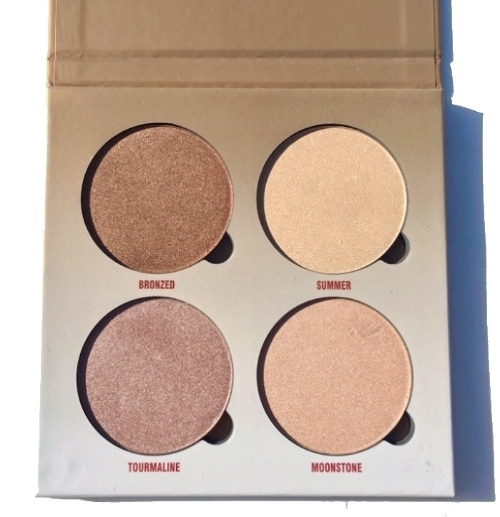 It includes four sizable highlighters that can be used in various ways to achieve a beautiful glow all year round. 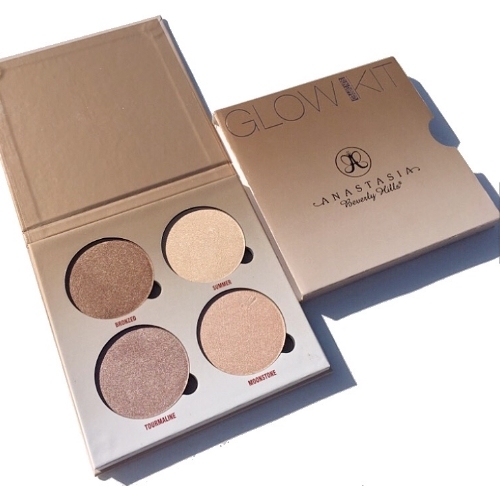 I already own the other two Glow Kits in That Glow and That Gleam, reviewed and swatched here. This new addition is just absolutely gorgeous and in my opinion, worth every penny. The shades are quite sizable. You get 0.26 oz of product in one pan. The kit retails for $40, which means each pan comes out to $10 each which is an incredibly great value! The four shades can be worn individually or layered to your desired luminosity and are completely versatile. I’ve also used the color Bronzed as an eyeshadow in the center of my lid and it looks phenomenal. 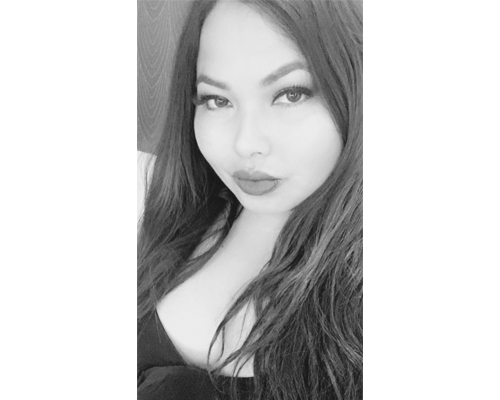 I like the fact that I can achieve a soft and subtle look for the day and transition to a more intense glow for the evening. In terms of quality, they are much like the other Glow Kits I own–extremely soft in texture, creamy and each shade blends beautifully. Each pan is fully removable and magnetic, perfect to pop out and place inside a Z-palette. Additionally, if you own more than one Glow Kit, you can pop out each pan and customize the palette to your liking, another added bonus. I really like mixing a little bit of Tourmaline with Moonstone. It looks beautiful on my medium golden skin tone and it imparts such an endlessly pretty shimmery finish. Swatches to follow below. Bottom line, the kit is an incredible value and the quality and performance is up to par. The colors are versatile and I think the range of shades included would suit most skin tones, if not all. You can really mix and match to find your happy medium, whether you want a more luminous pearly finish or a more bronzy one. If you are particularly not in love with these shades, the good news is that there are two more variations available worth looking into.